Easy is a fully equipped office with a range of support services. 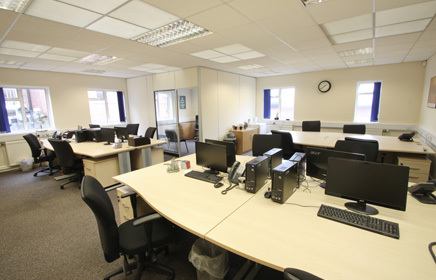 Foxhall Business Centres offer a wide choice of secure, furnished, ready-to-move-into serviced offices in Nottingham, making it easy for you to launch or expand your business. With the benefits of a receptionist, meeting space and flexible, tailored contracts we're here to help make your next move the right one. Professional is a premium address, space and secretarial support. Foxhall Business Centres offers a perfect base for small or large companies who want the low-cost benefits of an impressive regional business location, call and mail handling, administrative support - without the commitment and overheads of renting full-time office space. Impressive is affordable space on demand to meet your clients. 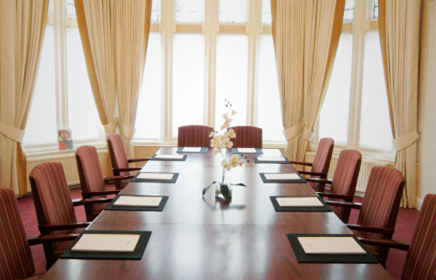 Whether you're looking to hold a conference, client meeting, training session or simply need a space away from your desk, Foxhall Business Centres provides a range of formal and informal meeting rooms. Fully equipped with on-hand support, each room can be booked at short notice. Anderson House is currently fully occupied.